As well as Croatia, our knowledgeable team is also expert in neighbouring countries. Mostar in Bosnia and Herzegovina is a diverse and fascinating city that offers an abundance of fun and interesting things to do and see. 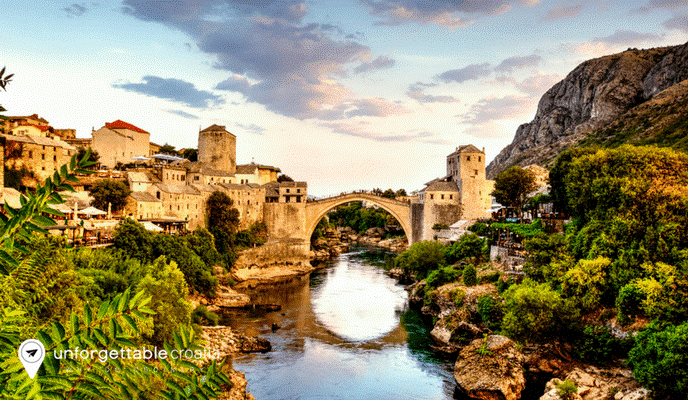 Situated in the far south of the former Yugoslavia, Mostar is home to three distinctly different cultures – Muslim Bosniaks, Orthodox Serbs, and Catholic Croats. Each culture has its own unique influence on the city. You will find exotic Turkish-style bazaars along the cobbled streets, and elegant church spires and minarets dotted across the city’s skyline. We recommend taking Mostar day trip from Dubrovnik. 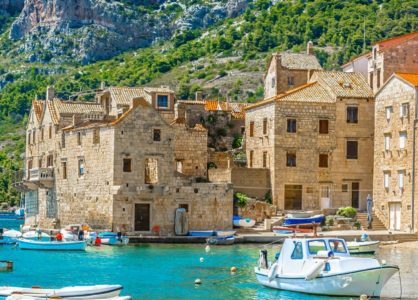 Combine with a Croatia island cruise for a unique way to discover this fascinating corner of the world. Surrounded by picturesque mountains and the scenic Neretva River, Mostar links the Catholic Croat western side and the Muslim Bosniak eastern side by a number of bridges. Many of the city’s primary tourist attractions are situated in the Old Town area. If you’re planning to make the most of a whole day in Mostar, it’s best to split your activities into three parts so that you can maximise your enjoyment of this fine city. Schedule your sightseeing in the morning, enjoy cultural discovery in the afternoon, and relax and have fun in the evening. Start your day in Mostar with a visit to the city’s most popular attraction. The Stari Most Bridge was built in the Middle Ages to connect the banks of the Neretva River. The destruction of the significant cultural and historically important Stari Most, during the civil war, upset historians and the locals. It was therefore rebuilt, and along with the surrounding area, it was declared a UNESCO World Heritage site. The name Mostar actually means ‘bridge keeper’. The presence of a river crossing was the reason that the city developed in the first place. Take a leisurely wander along the famous bridge and admire the views of the riverbank below and of Lučki Bridge to the south. You may even see people diving off the bridge to enjoy a refreshing dip in the river. Pick up a map of Mostar’s Old Town at the visitor centre located on the western side of the Neretva River. The Old Town is a popular place to hang out around midday, so it’s best to explore in the morning if you want to avoid the crowds. 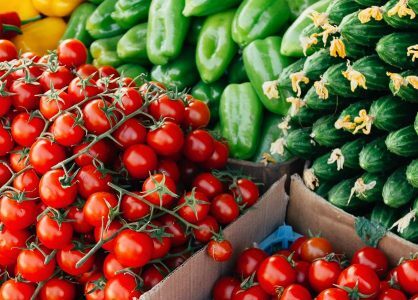 In the afternoon head for the colourful and vibrant areas of Coppersmith’s Street, or Kujundžiluk, situated just across from Stari Most Bridge. The charming cobblestone streets offer a diverse shopping experience. 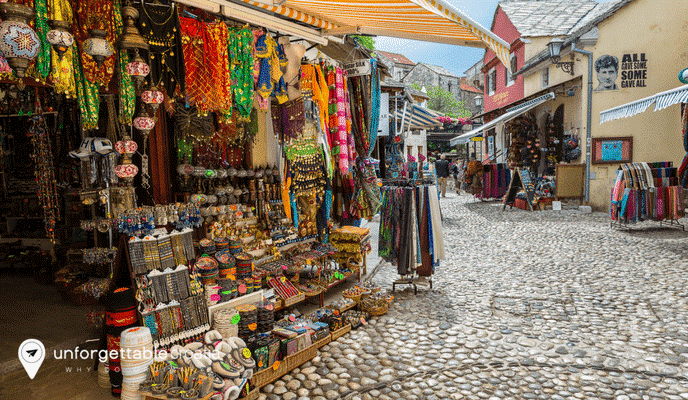 You can buy handmade jewellery, Oriental rugs and traditional Balkan war artifacts and copper decorations. Take your time absorbing the atmosphere and deciding which quirky souvenirs to buy as a reminder of your travels. The 16th century Koski Mehmet-Pasha Mosque is located a short walk from Coppersmith’s Street. The beautiful mosque is open to visitors who are interested in exploring Bosnia and Herzegovina’s Muslim culture. Climb the steep and winding stairs to the top of one of the minarets for breathtaking panoramic views of the Stari Most Bridge and Old Town. After your cultural thrills it’s time to relax and enjoy authentic Mostar hospitality. Mostar boasts many coffee shops, bars, restaurants and nightclubs. The boulevard of Braće Fejića is the best place to go to enjoy a fabulous feast of great food and local wine or beer. Our team can organise private transport to Mostar from Dubrovnik and back again, as well as a private tour on arrival by a professional English-speaking guide. 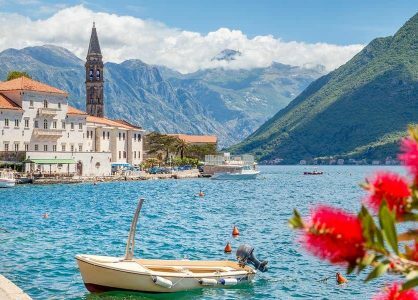 Give us a call today to discuss the best way to include a day trip to Mostar from Dubrovnik, perhaps combining this with a Croatia island-hopping cruise. The tiny country of Montenegro is sandwiched between Croatia, Bosnia & Herzegovina, Kosovo, Serbia and Albania.